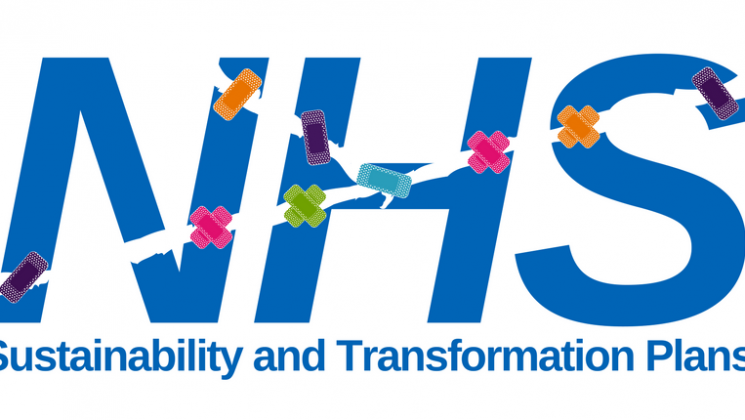 NHS organisations across England are currently working together to produce sustainability and transformation plans (STPs). What are sustainability and transformation plans? Sustainability and transformation plans (STPs) are five-year local plans for health and care services. They are being developed by 44 geographical areas, or ‘footprints’, covering England. NHS organisations, local authorities and other health and care services within these footprints must develop these plans together. STPs were due to be submitted to NHS England by the end of October this year – with plans to be finalised by the end of 2016. STPs will shape health and care services across England for the next five years, so it’s essential that patients, the public and staff are fully involved in their development. So far, there has been little consultation or engagement about the plans. In theory STPs have the potential to encourage closer working between health and social care services. They are also intended to bring commissioners and providers together and to encourage collaboration between providers. But, STPs are also expected to indicate how they will make billions of pounds of efficiency savings by 2020 through service reconfigurations and system changes. The concern is that this level of saving cannot be achieved through greater integration. This means that savings may need to be found through cuts to services or to staff pay, terms and conditions. STPs will detail how each footprint area will implement the Five Year Forward View for the NHS and achieve financial balance by 2020. The 44 footprints come in all shapes and sizes, but cover on average a population of 1.2 million people and five CCGs. STP footprints are not statutory bodies, but collective discussion forums, where health and care leaders in an area will come together to facilitate policy directives across organisational boundaries or further integration of services. In theory STPs have the potential to encourage closer integration between health and social care services. They are also intended to bring commissioners and providers together and to encourage collaboration between providers. However, STPs are expected to indicate how they will make £5bn of efficiency savings by 2020 through service reconfigurations and system changes. The concern is that this level of savings cannot be achieved through greater integration and that savings may instead be sought through cuts to services or to staff pay, terms and conditions. Initial drafts of STPs that have been made public indicate that some plans are reliant on assumptions that there will be financial savings from moving care closer to home; reducing A&E attendances and emergency admissions; centralisation of some hospital services; and making services better integrated. While some of these areas have the potential to produce benefits for patients, they have traditionally proved hard to deliver and are unlikely to produce substantial costs savings, even in the longer term. The big problem remains the lack of money. As a result, there is a serious risk that the plans are seen merely as the vehicle for delivering cuts to services that the government’s ongoing underfunding of the NHS has made inevitable. The tight timetable for producing the plans is contributing to the sense of unease. With STPs submitted for approval by NHS England in late October, they are then expected to be finalised by the end of 2016. There is further concern about the lack of transparency so far with the development of STPs. As non-statutory bodies, STP footprints must not be allowed to bypass proper consultation with staff, service users and the public. NHS England has itself belatedly produced guidance on engaging local people in the development of STPs, which highlights that proper consultation and engagement are an essential part of making the plans work. What is UNISON calling for? The most important requirement for our NHS and care services is extra funding. There is consensus across the system that the NHS is close to collapse and that there is a funding crisis in social care. UNISON is calling on the government to provide an urgent funding boost and to lessen the pressure for unrealistic efficiency savings. UNISON, along with other NHS trade unions, has written to the Secretary of State to request that he slow down the STP process to give patients, staff and the public greater confidence that local decisions are being made for the right reasons, rather than as part of a rush to make savings. STPs should not be allowed to avoid scrutiny from local authority bodies such as Health Overview and Scrutiny Committees and Health and Wellbeing Boards. UNISON is calling for support for local authority scrutiny bodies in carrying out their governance and oversight roles as a means of holding STPs to account. NHS Health Check: Which local services are under threat?